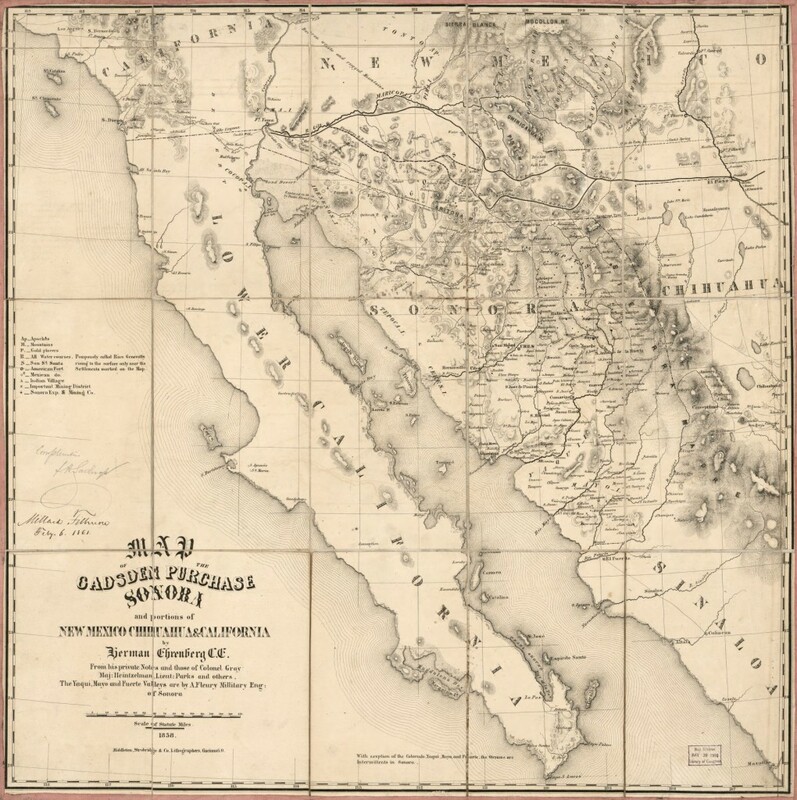 “Map of the Gadsden Purchase : Sonora and portions of New Mexico, Chihuahua & California,” produced in 1858 by cartographer Herman Ehrenberg. Note the northwesterly slant in the border as it runs from Nogales to Yuma. Here’s a question that likely keeps you up at night: Why does Arizona’s southern border run in a northwesterly manner between Nogales and Yuma? Give up? Have a listen to this KJZZ piece – that happens to quote yours truly – from last Friday. It should be noted, of course, that the history of the Gadsden Purchase involves many very complex moving parts. However, Nadine Arroyo Rodriguez summed up the story nicely given the challenge of condensing it into a two-to-three minute radio segment.